This is a limited edition special release of the Hyper-Dash 3 motor. 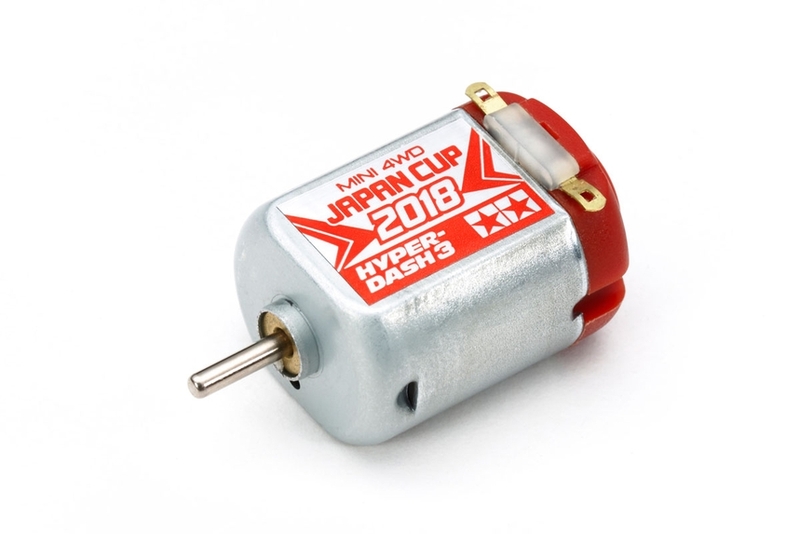 It commemorates Japan Cup 2018, this year’s version of the Mini 4WD racing series. It is a balanced, high performance motor, equally at home on a variety of course types and a great tune-up option for advanced racers, as well as being a perfect memento of another season of white-hot Mini 4WD racing! •	Silver/carbon mix material brushes give balance of performance and reliability. •	Compatible with Mini 4WD cars.